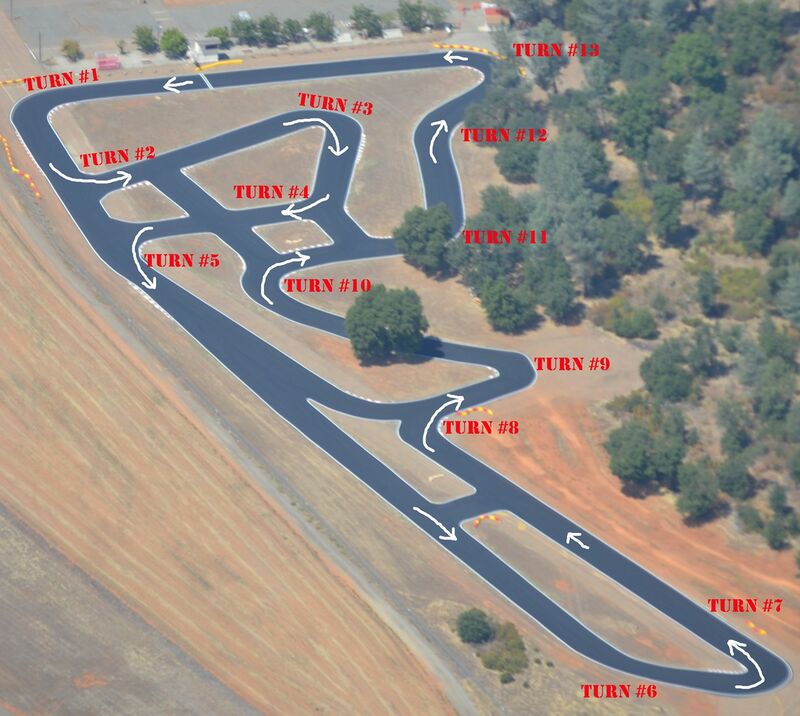 KPX Race #1 March 17th, 18th Hosted by Shasta Kart Klub! The 2018 Racing Season Kicks Off in Redding, CA! We’re excited to kick off the 2018 Racing Season with Shasta Kart Klub. Shasta did an amazing job hosting the 2017 Super Regional and we know this event will be top notch! Pre-Registering is not require but HIGHLY encouraged to keep the race weekend running smoothly. Pit Spaces: Please see Cameron Imhoff or Kenny Manchester for parking. RV Parking: RV Parking only in designated area (long Airport fence at drag strip runoff). Trailer must be unhooked from RV if in general pit area. RV parking is free but no hook ups. Spec Fuel for IAME Classes: Fuel VP C12. Oil Motul 2T Grand Prix mixed 8oz per/gal. Tires: All classes to run Evinco “Blue” tires. If rain raced called only MG WT Rain Tires allowed. Note: Senior KA100 rear tires have been changed to 7.1 rears. Tires are available for convenience through KPX and will be delivered to the event, but must be ordered before March 12th. www.kpxregistration.com Tires are not required to be purchased from KPX. Once again we have lined up some great prizes to be handed out every race. You must be at the Trophy Presentation to receive prizes. Free tires, free engine mounts, free kart stands, free entry fees, free gift certificates and more will all be raffled off or given way at each race! You do not need to be in a podium position to receive receive some prizes! (530) 440-8029 tim.maddox@gmail.comOnce you reach the entrance to the drag strip and up to the tack the speed limit is 10mph. -Trash must be contained within your own pit and thrown out by you. -No tires, fuel or oil may be disposed of at the track. -No motorized vehicles such as scooters, go peds, motorcycles or atv may be driven on our around the facility. Evinco has stepped up big this year not only with a solid product that us racers can rely on, but with the opportunity for four to five individuals to take home a set of tires per race. Thank you Evinco! This is the first race we didn’t have the tires on site due to selling them out to racers in need. We will have your tires at KPX Davis. If you need them before then please contact a KPX board member. We just have to say thank you so much to Briggs & Stratton Racing for putting up ten free entries per race and giving $500 back to five lucky racers per race. This gives individual racers the chance to win something without even winning. Show up and have the chance to win entries or money, can’t beat it! All Pill Pull Junior winners will be able to use their free entries at one of the next three KPX races. Please inform the track at registration that you are a Pill Pull winner and they will have a list with the names. Harrell Fischer and Jack Arluck we have your $100 since you left early. Thank you to all that attended and made this possible especially Briggs & Stratton. KPX is proud to announce that Sierra Pacific Lithographics is supporting and partnering with us for the 2017 race season. The Milton family plays a big part throughout the whole karting community. They are always looking for ways to help where needed, whether it is on or off the track. If you need printing, marketing, or just racing advice this is the family to reach out to. We met the Milton’s last year as Blake was working to master the 4-stroke stuff and has become one of the elite drivers in the series. Before going into the 2017 season we had many talks with Shannon Milton on ways the racers could benefit from our partnership. After finding out more information on their wide range of services it was a no brainer for us that Sierra Pacific Lithographics and KPX would make for a great partnership. In reality, we found ourselves needing their services just days later, as we had them design and print the banners for the Super Regional race up in Redding, CA. Sierra Pacific Lithographics not only is giving back to the racers but is also providing a quality product and service that is available to all of our racing family. Please use Sierra Pacific Lithographics for all of you graphic, print, and marketing needs, as we were very pleased with the services they provided us. They were friendly and very timely with our project. Tell them KPX sent you. Sacramento, CA – Sierra Pacific Lithographics is proud to partner with KPX beginning March 2017. We are thrilled to partner with an organization that focuses on family fun not just in the present day but for generations of kart racing enthusiasts. SPL started off with a one-room office and two people sourcing out jobs to local ventors with the drive and commitment to expand and grow in the Sacramento region. Today, SPL operates from a 21,000 square foot facility centrally located off Business 80 and Cal Expo. Our team has over 25 years of experience in the print industy and operates under the SPL philosophy of “You’re Kind of a Big Deal Around Here”. As a local print and marketing company, we offer a wide range of services in-house including Large Format, Offset and Digital Printing, Direct Mail Marketing, and much more. This allows us to complete your projects on time and at a competitive rate. As an SPL customer, we value your trust in us and strive to be you printing and marketing expert for generations to com. Who’s Ready for the first race of the KPX Series April 9th at Prairie City??? We have a bunch of exciting news to share, starting with Briggs & Stratton. They continue to put the racer first, back with a cash awards program for 2017. A rotating pay-out to Seniors and Masters classes (same as previous years) based only on your entry, not finishing order, meaning everyone is eligible to win $100 bucks just for racing. A total of 5 $100 bills to the lucky racers that are selected in that class! KPX & Briggs understand how foundationally important the Junior racers are to the sport, so BACK BY POPULAR DEMAND….FREE entries for selected racers (pea pick) in the Jr classes. We’ll rotate between Jr. classes to pick five attendees from a group at each race, starting with Junior 1 drivers. At the awards ceremony in Prairie City, KPX officials will present vouchers to the lucky winners, to be used at upcoming KPX races. Jeff Sakowicz will be the Race Director at all the venues this season, his energy is contagious. Dan & Don will work to keep things level in tech, Phil Hand will be throwing the flags, along with assisting with calls. Recognizing the need for improvement, KPX has stepped up to partner with Stephanie Anderline in the control tower, she’ll be well-prepared as chief of scoring. AN ADDED BONUS……Our wonderful sponsors have stepped up for the first race of the season, awarding $1000 to the winner of the senior Briggs 206 class at Prairie City!!! RENEWABLE ELECTRIC, INC. our newest member of the family! It is with great excitement that we announce Renewable Electric Inc, as an event sponsor for the March 18th-19th Super Regional in Redding, and KPX Karting Championhsip six race series for 2017! What’s so very exciting about this partnership? The Fairfield, CA, based-company has been successfully servicing both commercial and residential markets and pioneering cost-effective solar solutions on the West Coast. Clint Motta, CFO for Renewable Electric, is a KPX series racer who loves the sport and the family environment that is fostered by KPX leaders. Motta and company have stepped up in support of local karting families. KPX exists because of caring people like Clint Motta, lending their successful ideas that help foster growth in a sport that he’s passionate about. “Clint’s energy & vision is contagious, we’re thrilled to share the journey together with him, and greatly appreciate the support towards common visions” said Kenny Manchester, KPX Director. With the season so close, your KPX team is working hard to put things in place that will make your experience at the track memorable, for all the right reasons! As we near the completion of our 2016 season in Reno, NV on October 16, the directors of the KPX Karting Championship are looking ahead to the growth and prosperity of the series in 2017. As a result of recent changes in the MG importation and distribution in North America, KPX was faced with a need to evaluate the future of its tire program, but the choice was clear. “We’ve had an overwhelmingly positive response to the MG tire here in Northern California and moving forward, we wanted to honor that for our racers,” stated KPX President Kenny Manchester. KPX is pleased to announce the partnership with Evinco tires for the coming seasons, utilizing the Evinco Blue tires, manufactured by MG tires. When considering all options, KPX focused first on what would be best for the racer. This will be a seamless transition considering that the Evinco “Blue” is the same compound as the MG “Red”. The result will allow racers to avoid the learning curve associated with a different compound, knowing full well how their chassis are going to respond going into the new year. The distribution stays the same, your favorite kart shops will be selling the Evinco Tire, and pricing is locked through the end of 2018. This is an exciting time for karting in Northern California as KPX and Evinco are focused on uniting the region and growing karting from the club level on up. KPX and Evinco understand that it all starts with grassroots racing. The first event of the season specifying the Evinco tire will be the KPX Super Regional on March 18-19 in Redding, CA. This event will kick off the 2017 season in a big way and will pull together Briggs 206 racers from up and down the West Coast. Please look towww.kpxracing.com in the future for more details. KPX would like to thank WR International – Wagner and Luis – for their partnership and support in growing local karting in the 2016 with the MG Tire. Kart Project X (KPX) is based in Northern California, established in 2014. Formed & guided by racers, for racers, to promote the growth of grassroots karting at the club level. The group is focused on promoting competitive & affordable motorsports, while maintaining a rules-compliant karting field. Find us on Facebook under West Coast Briggs LO206 Racing. This LO206 motor package has been the hot topic in the sport. From the veteran racers, to entry level drivers with no mechanical experience, or even the guy who hung his suit up years ago, the LO206 is for anyone with the desire to race. Briggs & Stratton Racing will be donating $5,100 to be handed out to our racers! How you ask? *The winners of the free Junior entries will be selected randomly before the end of each event and paid out. *The Briggs Pill Pull will work similar to last year. Example: The winner of the selected Senior class will pull a number. If there is 10 entries and the winner picks number 4, 4th through 8th will receive $100 each. Please take the time to thank Briggs & Stratton Racing for their generous donation and efforts to create the best racing environment ever. They have kept in mind the racers pocketbook by manufacturing a bullet proof product to get you on the track for some family fun.